Golden triangle India tour package is the most popular tour package in India covering Delhi, Agra and Jaipur. These 3 historical places are situated in the shape of a triangle and hence the package got that name. 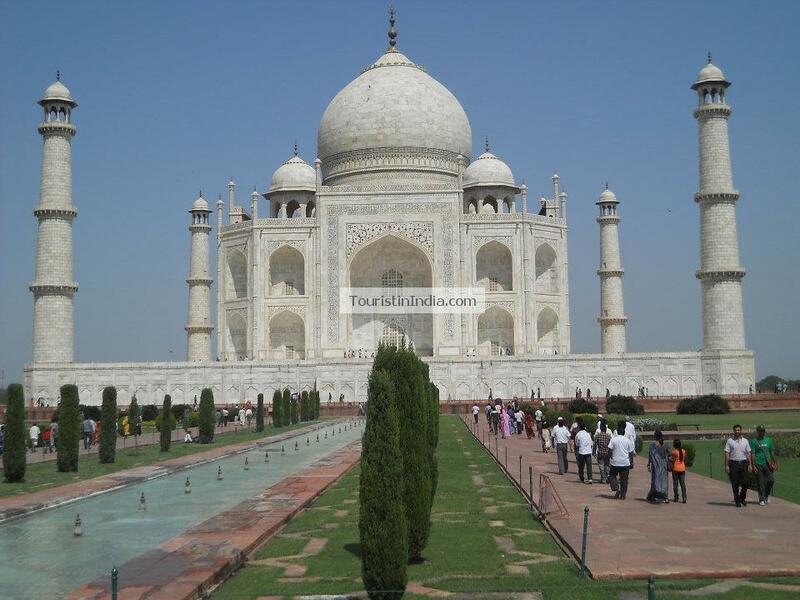 Golden triangle tour packages in India covers many heritage sites in these historic places. These include UNESCO world heritage sites of Qutab Minar (Delhi), Red Fort (Delhi), Taj Mahal (agra), Red Fort (Agra), Fatehpur Sikri (Fatehpur near Agra), Amer Fort & Palace (Jaipur). Jantar Mandir (Jaipur). You can travel to India and land in Delhi, the capital city of India. Your Golden Triangle travel can be started from Delhi. Delhi has many historic places like Qutab Minar (The Tallest Brick Minaret in the World), Oldest Indian Mosque, Jama Masjid, Red Fort at Delhi (residence of the Mughal emperors for around 200 years from 1648 till 1857), Ashoka Pillar, etc, to name a few. There are a lot of other tourist attractions in Delhi. They include Lotus temple, Akshardham Temple & Swaminarayan Akshardham, India Gate, Teen Murthi Bhavan, etc. Tow hours drive from Delhi takes you to Agra, where world famous Taj Mahal, one of the seven wonders of the world, is situated. Red Fort (Agra) which is also known as Agra Fort , is another nearby historic place. Emperor Shah Jahan, who built Taj Mahal, was dethroned by his own son Emperor Aurangazeb and was confined to the nearby Agra Fort on the banks of the holy river Yamuna. Yamuna river is holy for Hindus. Fatehpur Sikri is another historic place at around 37 kilometers from Agra on your way to Jaipur. Fatehpur Sikri was constructed by the Mughal Emperor Akbar in 1569 and was the Mughal Capital from 1571 to 1585 . 3 hours drive from Fatehpur Sikri takes you to the pink city, Jaipur India. Some of the main Heritage sites are Amer Fort and Palace, Jaipur water palace, Jaipur City Palace & attached Museum, Jaipur Jantar Mantar (Astronomical Observation site with the World’s Largest Stone Sundial ), Hawa Mahal Palace, etc. How Much is the Golden Triangle Tour Package Price in India? Golden triangle tour package price in India varies from tour operator to operator. Please check the current rates with your travel agent.